Lassi is a popular and traditional Indian drink, originated in the state of Punjab. It is made of Yoghurt with water, salt, sugar, pepper and flavoured with spices. Lassi can be sweet or salty. Different flavours of lassi are also made using different seasonal fruits. Lassi is enjoyed chilled with ice cubes during hot summers and it's a real thirst quencher. It has the goodness of yoghurt and we all know that yoghurt has many health benefits, starting from helping in digesting food to burning body fat. In this previous post of mine, you will get to know three lassi recipes and several health benefits as well. 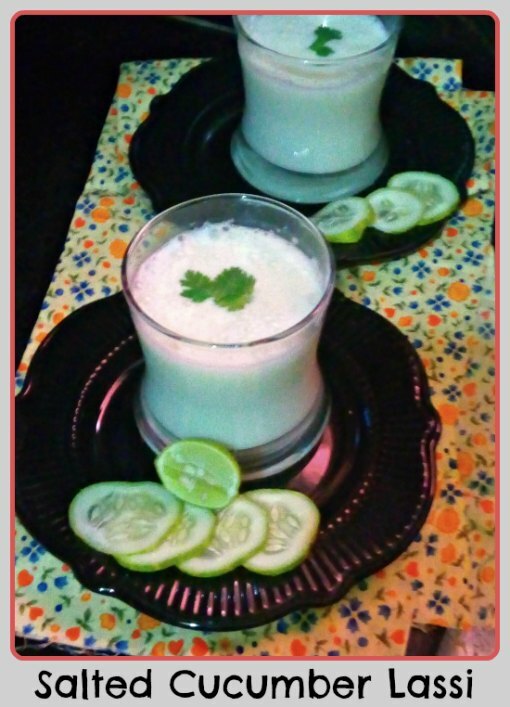 Addition of cucumber, yogurt, mint and coriander leaves takes this humble lassi to a all new level. I can't tell you how refreshing this drink is, you have to try it to believe me. Almost no addition of sugar make it more guilt free and healthier option in this scorching summer heat. Black Salt : 1 tsp. Peel the cucumber and chop in squares. In a blender, take the cucumber, ginger, green chilli, mint and coriander leaves and salt. Blend till smooth. Now add the curd or yogurt in it and blend well. As cucumber releases lot of water, so there is no need to add more water. You can add a little water in it if you want. 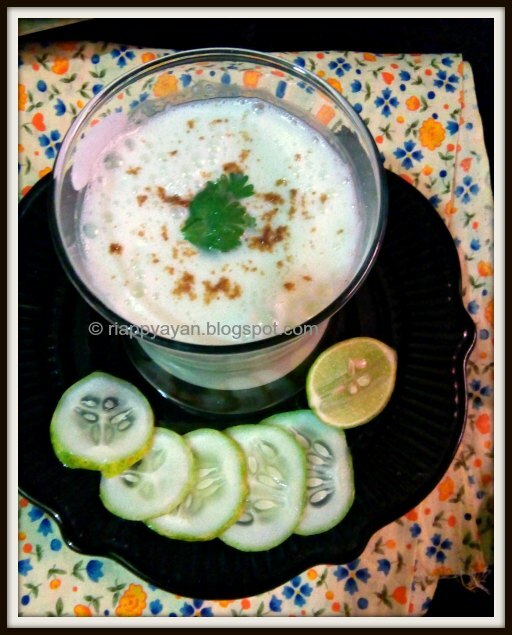 Your Cucumber Lassi is ready to indulge in a jiffy. 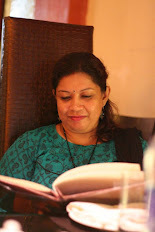 I agree with you, adding cucumber and coriander makes the lassi take even more refreshing and different.